This is shaping up to be a Super Bowl worthy of its name as the New England Patriots and Philadelphia Eagles are preparing for this Sunday’s championship. And in the Super Bowl, you’ll hardly find two teams more evenly matched. The Patriots scored one more point offensively than the Eagles 458-457, and the Eagles allowed one less point defensively than the Patriots 295-296. It doesn’t get much closer than that points wise. Both are 13-3 and both are the #1 seed in their respective conference. Both have had to overcome serious injuries to get here. Philadelphia lost MVP candidate, QB Carson Wentz late in the season, offensive tackle Jason Peters and running back Darren Sproles. The Patriots lost Julian Edelman, linebacker Dont’a Hightower and tackle Marcus Cannon amongst others. While the teams met in the 2015 season, both are very different from the ones who played in Gillette. We’ll do a detailed break down of the key matchups later this week But here is our quick look at the Philadelphia Eagles and what we’ve seen in watching the film of some of their games this season. Nick Foles is in his second stint with the Eagles and they are certainly glad he’s back. After Wentz went down with a torn ACL, Foles stepped in and after some initial struggles to find his comfort level in the offense, he’s been excellent in the postseason. Foles has completed 77 percent of his throws in the playoffs with three touchdowns and more importantly zero interceptions. The important factor for Philly has been, they didn’t have to change the offense with Foles at the helm. With his comfort level in the pocket, the Eagles are clicking offensively. It will be the Patriots’ defense to change that comfort level early in the game by disguising looks and pressures. Otherwise, it could be a long evening. One area of the Eagles offense that will be discussed a lot this week is the RPO. Foles and the Eagles carved up Minnesota’s defense with this badly in the NFC Championship game. They took advantage of the Vikings aggressive nature and shredded them with it. The keys were the quick slants off of them, much in the manner that Jacksonville ran. The Patriots, however, aren’t an aggressive defense, but more of a read and react group. So the key from New England’s perspective is maintaining gap integrity and setting the edge. Foles isn’t as mobile as Wentz so he’s not the threat to run that the starter was. Linebacker play will be key here. With two good and very different styles of backs in LeGarrette Blount and Jay Ajayi, Foles will have the option of handing it off or faking it and passing the ball in the quick open field. Philadelphia’s run defense is #1 in the NFL allowing just 79.2 yards per game. It begins with the big men in the middle, Fletcher Cox, and Timmy Jernigan. They are the big, immovable objects in the center of the line. They make things very tough to run in the middle of the field, exactly where the Patriots like to run. The stretch plays and the slow developing runs to the outside are very tough on this defense because of the way they flow to the ball. Philadelphia’s subpackage defense is really tough. They go to a NASCAR type package in their pass rushers with Cox and moving Brandon Graham inside, then they still have Vinny Curry, Chris Long and Derek Barnett as their edge rushers. While the Eagles don’t blitz a ton but will send safeties or corners on third and long situations and don’t rack up huge sack numbers, they do rack up a ton of QB pressure. Consistent pressure is what drives the defense and they’re very good at it. So from a Patriots perspective, they need to be successful on first and second down. Mix things up, use play-action passes which should be very effective against their linebackers and use the hurry up once they get a first down to keep the Eagles from substituting. Of course, they’ll need to produce as well. Otherwise, it is just getting the Philly offense back on the field that much quicker. The Eagles front four is deep and talented, arguably the best in the NFL. Getting in obvious passing situations on third down is inviting trouble and they’ll respond by bringing the pressure. In their last four games, Philly’s defense hasn’t allowed more than 10 points. While both offenses operate quite differently, the tight end in each is a big part of what makes them go. 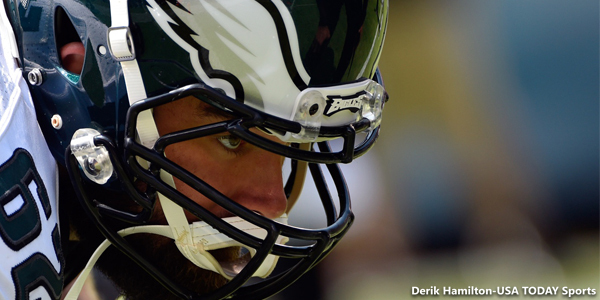 The Eagles boast three good tight ends with Zack Ertz, Brent Celek, and Trey Burton. Ertz was their leading receiver in 2017 and was Foles’ go-to guy against the Vikings, completing first down after first down. He’ll be matched up with Pat Chung and if New England is going to be successful, Ertz can’t be allowed to become that kind of target again. For New England, Rob Gronkowski (if he’s healthy) is the gold-standard for TEs in the NFL. While Malcolm Jenkins will probably see him a lot in this matchup. The Eagles may try to pull a page out of Jacksonville’s book and double up Gronk with Jenkins and Corey Graham. If that is the case, then the WRs will have to win one-on-one matchups. Philly played a lot of zone coverage this year, Brady will pick those apart. Look for them to match up in man coverage. Their corners are ok but not great, they look better because of the pass rush, much like the Pittsburgh corners used to be in years past. It is just another interesting piece of the chess match. We’ll be back later this week with the full matchups and our prediction. 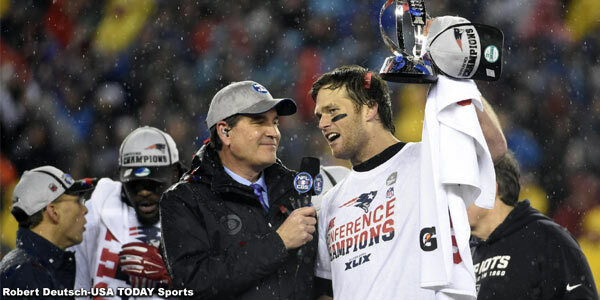 This entry was posted in 2017 Patriots Postseason, NFL Commentary, NFL News, Patriots Commentary, Patriots News and tagged 2017 Patriots Season, Alshon Jeffery, Bill Belichick, Carson Wentz, Danny Amendola, Dion Lewis, Dont'a Hightower, James Harrison, Jay Ajayi, Julian Edelman, LeGarrette Blount, Nelson Agholor, New England Patriots, Nick Foles, Philadelphia Eagles, Rob Gronkowski, Stephon Gilmore, Super Bowl LII, Tom Brady, Trey Flowers, Zack Ertz on January 30, 2018 by Steve Balestrieri. 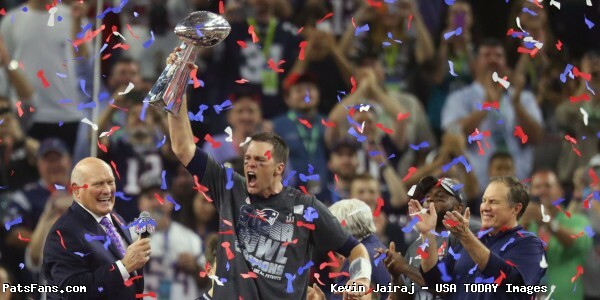 With Opening Night against the Kansas City Chiefs nearing about a week away, NFL Films is back with two new documentaries about the 2016 Patriots Championship season, sharing two trailers over their YouTube channel this week. In what has become an annual tradition for every Super Bowl champion, a new “America’s Game” film will roll out next week leading up to the first game featuring wide receiver Julian Edelman, linebacker Dont’a Hightower and former running back LeGarrette Blount as team commentary along with actor Chris Evans as the narrator. The second trailer released was for “Do Your Job Part 2” which contains more of an emphasis on the behind the scenes aspect of the franchises run to the Super Bowl, featuring interviews with Head Coach Bill Belichick, other members of his coaching staff, and owner Robert Kraft. 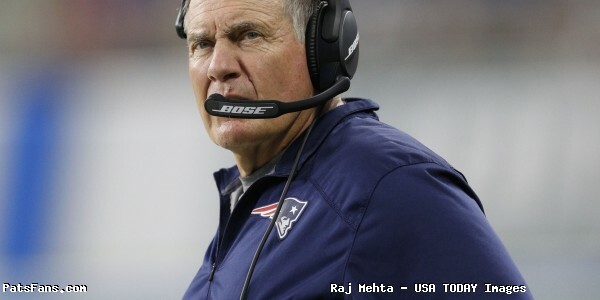 “Do Your Job Part 2: Bill Belichick and the 2016 Patriots” premieres on NBC Sunday, September 3rd at 7pm est with a re-airing on NFL Network Wednesday, September 6th at 8pm est. “America’s Game: 2016 Patriots” will air on September 6th at 9pm est on NFL Network. This entry was posted in Patriots Commentary, Patriots Video and tagged Dont'a Hightower, Julian Edelman, LeGarrette Blount on August 30, 2017 by Robert Alvarez. 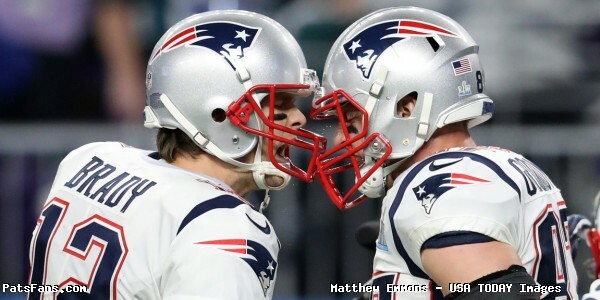 The news of New England Patriots wide receiver Julian Edelman tearing his ACL rocked Patriots Nation, his teammates and the NFL this weekend. Following developments that Edelman would in fact miss the entire 2017 NFL season to recover, many current, former and other players from around the league took to their social media accounts to wish him well and a speedy recovery into 2018. Damn hate to see that happen. 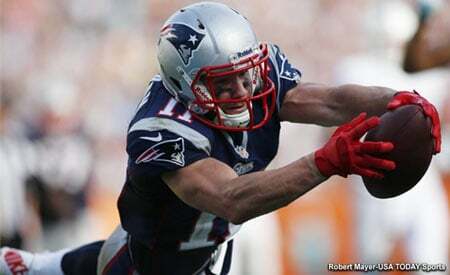 I'm praying for a fast recovery for @edelman11 ! Hard worker and great competitor. Damn praying for a speedy recovery for my dog @Edelman11 , not many guys built like him! Even the Boston Police department shared a get well message, as “Chip and Dale” will be unable to fight crime together this season. This entry was posted in Patriots Commentary, Patriots News, Patriots Photos and tagged Chris Long, Danny Amendola, Devin McCourty, Donte Stallworth, Joe Andruzzi, LeGarrette Blount, Michael Floyd, Sebastian Vollmer, Tom Brady on August 27, 2017 by Robert Alvarez. 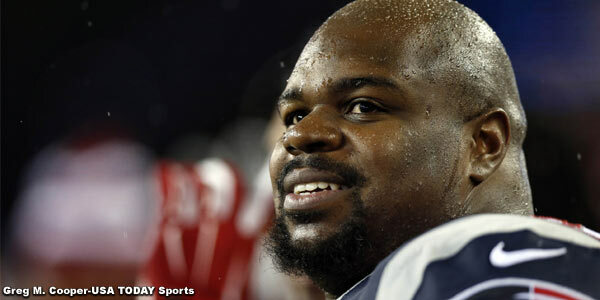 On Wednesday, former New England Patriots nose tackle Vince Wilfork officially called it a career, signing a ceremonial one-day contact with the team making him “a Patriot for life” according to owner Robert Kraft. Many of Wilfork’s old teammates paid tribute to him with emotional social media postings wishing him well into the next chapter of his life. The Massachusetts State Police also shared a thank you to Wilfork, in case you may have forgotten his heroics of the field following the 2014 AFC Championship game. This entry was posted in Patriots News, Patriots Photos, Patriots Video and tagged Devin McCourty, Jerod Mayo, Joe Andruzzi, Julian Edelman, LeGarrette Blount, Vince Wilfork on August 10, 2017 by Robert Alvarez. We’re already at the half way point of the week, and here’s a look at today’s top stories. Cooks Gets to Work – As exciting as the news of Brandin Cooks’ acquisition was back in March, hearing how the acclimation has been for the new receiver so far on Tuesday was even more interesting as he met with the media at Gillette Stadium. Cooks admitted that he’s already noticed a difference of how differently things are done compared to in New Orleans in just the short time he’s been here, and he loves it. 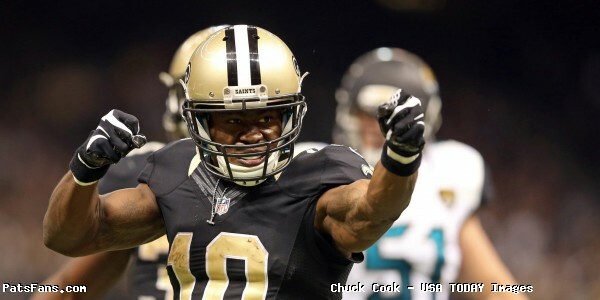 Team numbers were revealed yesterday and the fact that Cooks is set to wear #14 was one thing that certainly stood out, especially considering he wore #10 in New Orleans. That number currently belongs to Jimmy Garoppolo, who Cooks admitted that he didn’t even bother asking him because it’s a “new opportunity” so he “wanted something different”. As for the reason behind wearing #14, Cooks said there wasn’t any significance, although he tried to link it to his college number when he was asked by the media. Coming from New Orleans playing both in a warm climate and in an indoor facility will probably take a little getting used to, which Cooks admitted will be a little different. He’s already had a little time to get used to the area, and he’s looking forward to the opportunity. Cooks is already learning the “Patriot Way”. Inside the facility has been a different story. He’s had a chance now to see the inner workings of the team he’s now a part of, and he’s been impressed. Obviously it starts with the coaching staff, which he called “amazing”. The same held true for when Cooks met Brady, who shares those same characteristics. For now Cooks said he’s excited about the opportunity but at this point it’s just all about trying to get up to speed both with his conditioning and mentally so he’s not left behind. Sounds like he’ll fit in just fine. Tomlin Mentions Patriots During Commencement Speech – Mike Tomlin is well known for being outspoken, and his comments caught on Antonio Brown’s Facebook Live broadcast following Pittsburgh’s win in the Divisional round made waves after Brown’s poor judgement put the spotlight on them leading up to the AFC Championship game against New England. That obviously didn’t work out too well, especially after the Patriots easily handled them during their 36-17 win to advance to the Super Bowl. The frustration after that game seemed to boil over in Pittsburgh, to the point where even Ben Roethlisberger seemed so annoyed with the poor coaching performance that he seemed to be pondering retirement. But, here we are, three months later and fortunately for Patriots fans, Tomlin is still the coach and Roethlisberger is still the quarterback, which bodes well for New England’s chances against them for the foreseeable future. As for Tomlin, very little has changed and he was on hand at Robert Morris University and mentioned the Patriots during his 16-minute speech where he referenced New England while making light of his previous comments. He’s a funny guy, isn’t he? No Compensatory Picks for Blount or Floyd? – Both LeGarrette Blount and Michael Floyd remain unsigned and for any fans hoping to see New England end up with a couple of compensatory picks for these players, it’s not going to happen. As Kevin Duffy of MassLive.com pointed out, the deadline for those two players to sign with a new club in order for the Patriots to have had a shot at receiving compensatory picks was 4pm Tuesday. Neither player signed a contract, so that notion is now off the table. Adam Schefter reported that Floyd had been potentially linked to Minnesota, while the latest rumors surrounding Blount potentially had him on Baltimore’s radar. Prior to that the Giants had shown interest, but all indications seem to point to the fact that ship has sailed, so it looks like we can cross that off as a possibility. Jamison Hensley of ESPN made a strong case for Blount coming to Baltimore in a column Tuesday, and he believes it’s the best fit for the former Patriots running back. Unfortunately the fact that Blount hasn’t lured a suitor before now has worked against his former team, who despite the lack of compensation, will continue to move on without him. Mangold Doesn’t Have Patriots On His Radar – While the Patriots may just have David Andrews at center, free agent Nick Mangold doesn’t seem to see Foxboro as his landing spot. According to Mangold, who spent 11-years in New York with the Jets, he doesn’t believe that Bill Belichick would be interested in his services considering some of the fierce battles the two teams have had during his career. Free Agent Center @nickmangold on the possibility of joining the #Patriots: After all the battles we've had, I don't think Bill likes me. Mangold was cut by the Jets back in February in what appeared to be a salary cap related move following a season where he missed eight games due to a foot injury in 2016. The battles have certainly been heated, including an incident initiated by Mangold in a match-up back during a 13-10 win over New York in 2013 where the Jets center put a vicious shot on former defensive back Aqib Talib following a game-sealing interception. Looking back, Mangold clearly went low at Talib as the defensive back was going out of bounds, although he didn’t believe he did anything wrong after on play. Mangold wasn’t fined after the game, although New England’s Michael Buchanan, Alfonzo Dennard and Vince Wilfork were hit with a penalty of $7,875 each after the league went back and reviewed the footage and determined they threw punches during the exchange that broke out after the play. Chandler Jones was also fined $15,750 for a hit on Jets QB Geno Smith, where the league deemed that he hit Smith in the head and neck area. While the league determined there was nothing wrong with Mangold’s hit, Belichick clearly didn’t think very highly of it, with the coach visibly heated and yelling at the Jets’ center after the play. Mangold mocked him after the game, questioning the coach’s poise. 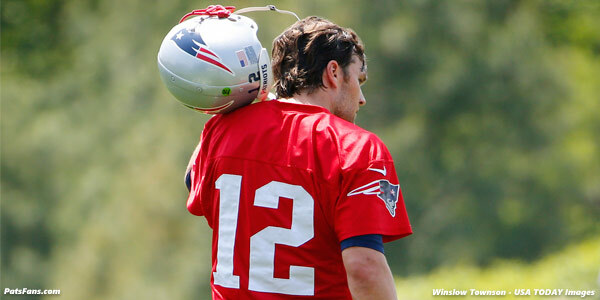 Yeah…maybe Belichick wouldn’t want him after all. Bill Polian seems to be hoping Brady retires sooner rather than later. Polian Spouts off – This was left until the end because Bill Polian’s issues just boggle the mind and while ignoring it would have been preferable, it’s too relevant and ridiculous to just let it go. The old saying, “Just because you can, doesn’t mean you should” should have applied here but on his show on SiriusXM NFL Radio, Polian couldn’t resist taking advantage of the fact he had a microphone in front of him and decided to add some locker room material during the month of May as he took some verbal shots at the team that continues to make him miserable. According to WEEI’s Ryan Hannable, who caught the segment, Polian was asked by a caller about how the Bills can ever compete with the Patriots in the AFC East? Brace yourself. Your IQ is about to drop. Polian left out the fact that while the Patriots aren’t invincible, Indianapolis is in the middle of a seven game losing streak dating back to 2010. So maybe his comments had more to do with his own inner monologue hoping Brady will hang it up and Belichick will leave the coaching ranks. The bad news is, the two are still going strong with no signs of slowing down. That leaves Polian without much to look forward to aside from his radio show, and he’s clearly trying to make the most of it. This entry was posted in Daily Patriots Rundown and tagged 2017 Patriots Offseason, Antonio Brown, Ben Roethlisberger, Bill Belichick, Bill Polian, Brandin Cooks, Jimmy Garoppolo, LeGarrette Blount, Mike Tomlin, New England Patriots, New Orleans Saints, New York Giants, New York Jets, Nick Mangold, Pittsburgh Steelers, Tom Brady on May 10, 2017 by Ian Logue. Looks like it’s going to be another crazy Tuesday. Here’s a look at today’s top stories. Patriots Get Gillislee – For the second straight offseason, the Patriots raided Buffalo’s roster and the Bills are left without a key player heading into the 2017 season. One year removed from having lost Chris Hogan after the Patriots put together an offer sheet Buffalo couldn’t match, New England got the best of them yet again by doing the same thing with running back Mike Gillislee. Monday’s 4pm deadline for Buffalo finally revealed Gillislee’s fate and despite taking the entire week to do so, the Bills ultimately decided to decline to match the Patriots’ offer sheet. It has to be frustrating for Buffalo knowing that Bill Belichick and the Patriots front office got the best of them two years in a row, leaving them forced to watch the fourth-year standout from Florida line up behind Tom Brady this season. The Bills’ PR department announced the decision three minutes early at 3:57pm on Monday via Twitter with two terse Tweets. The @buffalobills have opted to not match the contract tendered by the New England Patriots to restricted free agent RB Mike Gillislee. It’s a great move for the Patriots, who pick up a solid player to carry the football for the mere cost of just a 5th round pick and the $6.4 million he’ll earn over the next two seasons. His addition fills out a backfield that now features Gillislee, Rex Burkhead, James White, Dion Lewis, D.J. Foster and Brandon Bolden. More importantly, it likely spells the end for LeGarrette Blount, who remains a free agent and may now have to find a new team to play for after Gillislee’s signing. It seems Butler might be back for one more year. 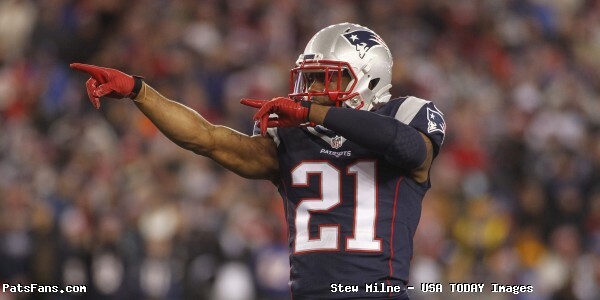 Butler Likely Sticking Around – One month ago it looked like Malcolm Butler’s time in New England was coming to a close and it seemed like a foregone conclusion that he’d be playing elsewhere in 2017. Instead, it appears the likelihood of him playing at least one more year for the Patriots might be a reality and that’s good news for fans who are hoping to see New England head into the season with a formidable pair of cornerbacks in their secondary. According to ESPN’s Adam Schefter, it’s “highly unlikely” that Butler will be traded this offseason, which given Schefter’s similar take so far with Jimmy Garoppolo, means that Butler will still be part of the team this season. 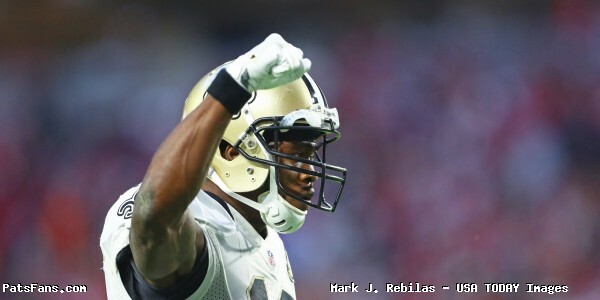 That’s good news considering that Butler seemed to be on a collision course with the Saints after visiting with New Orleans last month. There appeared to be a mutual interest but New Orleans never gave Butler an offer sheet, having said publicly there was no way they were going to part with their #11 selection and things appear to have cooled since. Butler signed his restricted free agent tender last week, which put him under contract for the upcoming season and opened up the possibility for New England to trade him now that he’s officially signed. Instead, that may no longer be a possibility, which is good news for a player who will certainly make them that much better paired with newcomer Stephon Gilmore this season. 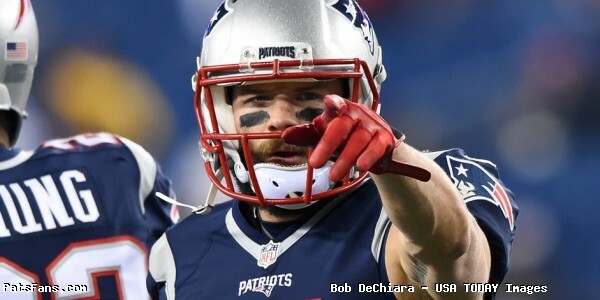 Patriots Pick Up Cap Space With Amendola’s New Deal – The final numbers are out and according to ESPN’s Mike Reiss, Danny Amendola’s new deal frees up a fair amount of cap space. Reiss reported on Monday that Amendola’s new contract freed up $4.75 million worth of cap space, giving an already well-stacked team even more financial flexibility. According to Reiss, Amendola received $100,000 in the form of a signing bonus, a base salary of $1.25 million, and he can earn an additional $300,000 in per-game roster bonuses at the amount of $18,750 per contest. The even better news is it keeps one of the most consistent postseason performers on the roster at a reasonable cost, which is something every fan in New England should definitely be feeling good about. 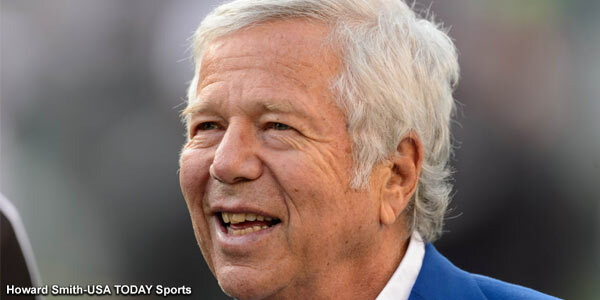 Robert Kraft is the latest victim of a ridiculous hit piece on DeadSpin. Another Day, Another Witch Hunt – We’ll close with this because after just coming across it, I think my head is going to explode. After a Monday full of debates surrounding Tom Brady’s philanthropic practices, it appears there’s one writer who has reappeared after falling off the face of the earth and this time, he seems to be looking for vengeance. 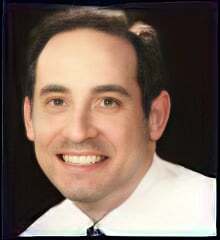 Prime Patriots hater, former New York Post writer Bart Hubbuch, the man who was fired from the newspaper for an inappropriate Tweet during campaign, has landed with Deadspin and resumed his obsession with taking down the franchise he clearly doesn’t like. 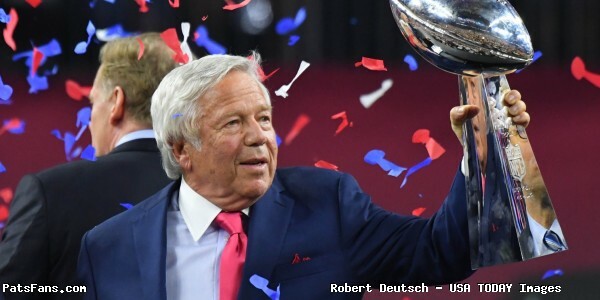 Hubbuch wrote an article Monday night about Robert Kraft’s apparent affiliation with a corporation he claims puts him in violation of the NFL’s policy surrounding gambling. Hubbuch’s story focuses on the fact that Kraft is a board member of private-equity firm Appolo Global Management, which in 2008 teamed up with TPG Capital to buy a controlling 60 percent interest in Caesars Entertainment. According to Hubbuch, while Appolo’s stake dropped to 16 percent during an ongoing bankruptcy fight, they still hold an interest in the company. Kraft reportedly joined their board of directors back in May of 2014 as one of just eight directories of the company. As Hubbuch points out, Kraft is “profiting off of casino gambling and sports betting” and that the NFL “knows all about it” but hasn’t done a thing to shut it down. Hubbuch cites what he believes to be a “notable example” of why Kraft should be punished after the NFL forced Tim Rooney — the son of Steelers’ founder Art J. Rooney — to sell his entire stake in the team in 2008 because Yonkers Raceway, which he owned, received a gaming license. That seems to be what Hubbuch is trying to force here with Kraft. Hubbuch later cited the league’s policy where he was told by NFL spokesperson, Brian McCarthy, that the diversity of the company and the small percentage of the overall related to gaming wasn’t enough to violate their rule. He disagrees, citing one sentence he feels puts Kraft in violation with his emphasis in bold. Hubbuch disagrees and went on from there to complain about how he originally wrote this story a long time ago and voiced his frustration about how he was shut down after approaching Patriots spokesperson Stacey James and the story never ran. From there, he went on a bizarre rant to complain about his frustration with losing his job with the Post and the unfair treatment he believes Kraft and the team receives from the league. Honestly, as the piece turns into Hubbuch’s vehicle to vent, it just really becomes strange to read. When he was a reporter for the Post it all seemed like an act and a persona he was putting out there for the sake of getting followers. Reading this now, it appears to be just how he is, and his obsession and comments are alarming to say the least. It’s a strange twist considering two months ago he was suing the Post for firing him, one month ago he dropped the lawsuit and on Monday, he drops this. It’s definitely a strange turn of events and whatever Hubbuch is trying to ultimately accomplish, all he’s managed to prove is that he’s still a, really, really disturbing individual. This entry was posted in Daily Patriots Rundown and tagged Bart Hubbuch, Brandon Bolden, Buffalo Bills, Chris Hogan, D.J. Foster, DeadSpin, Dion Lewis, James White, Jimmy Garoppolo, LeGarrette Blount, Mike Gillislee, New England Patriots, Rex Burkhead, Robert Kraft, Stacey James on April 25, 2017 by Ian Logue. On the day of the Boston Celtics game three first round matchup with the Chicago Bulls, New England Patriots quarterback Tom Brady shared some good luck wishes over Instagram to the team and point guard Isaiah Thomas as they try to dig themselves out of an 0-2 series deficit. For Thomas, it has been an emotional series after tragically losing his sister in a car accident 24 hours before game 1. In between games 2 and 3, Thomas flew home to his native Tacoma, Washington to be with his family. Brady first met Thomas on Long Island during a summer meeting with then free agent Kevin Durant along with Celtics magament and since that time has become a friend. Members of the Patriots have been very active in their support of the local NBA team over the past few seasons, most notably running back LeGarrette Blount and head coach Bill Belichick who have been making recent appearances at games. This entry was posted in Patriots Commentary, Patriots Photos and tagged Bill Belichick, LeGarrette Blount, Tom Brady on April 21, 2017 by Robert Alvarez.